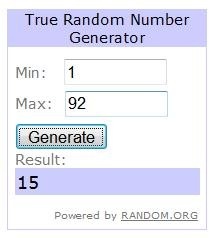 Thanks to everyone who entered my Chobani giveaway, I used a random number generator to pick the winner. 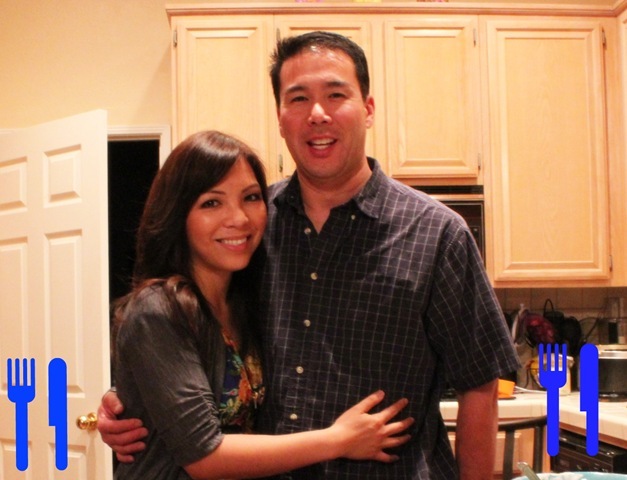 Congrats to Dee for winning a case of Cho! I can’t wait to try Chobani’s new flavors, Mango madness here I come! Today’s weather was clear but cold, actually quiet chilly for me. As they say, there isn’t such a thing as bad weather, there’s only bad clothing. I can’t really use cold weather as an excuse not to workout outside, because I can always dress in layers. See below my typical outfit during my run in the mornings. I told you I’m a baby when it comes to cold, but hey…I still go out there and do my thing. I’m warm and comfortable the entire run. A functional workout outfit. 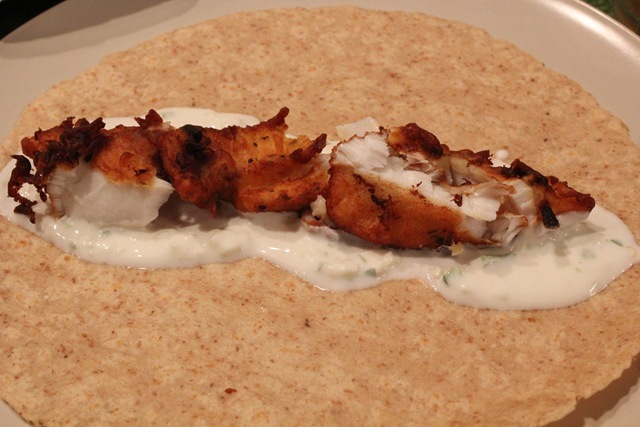 So last night I mentioned that it was fish taco night. 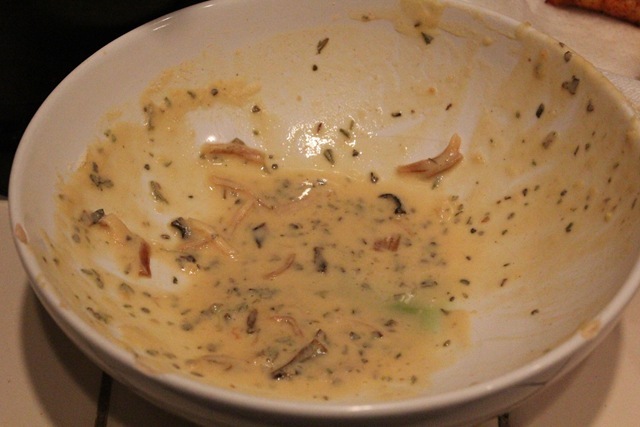 The fiance loves this dish and it has become one of my favorites after he made it for me when we first started dating. 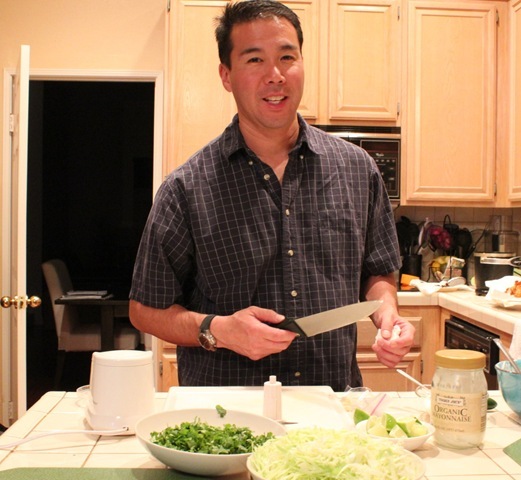 I helped him chopped the fresh veggies, while he prepped the fresh fish. He caught the fish the other day during his dive. It can’t get any fresher than that right? My sister, my mom and my aunt joined us for dinner. 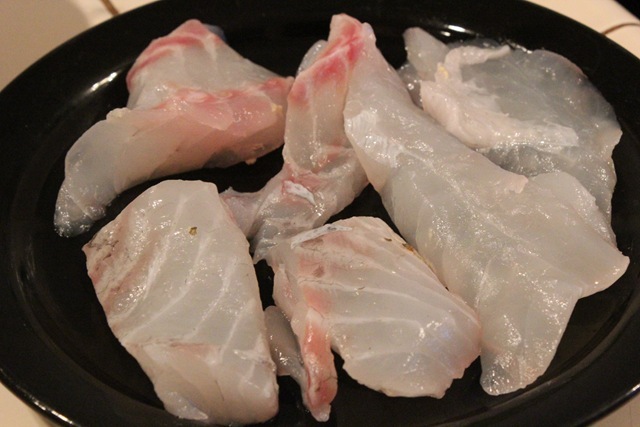 Since we have a few dietary restriction in the house, we made different batches of cooked fish. 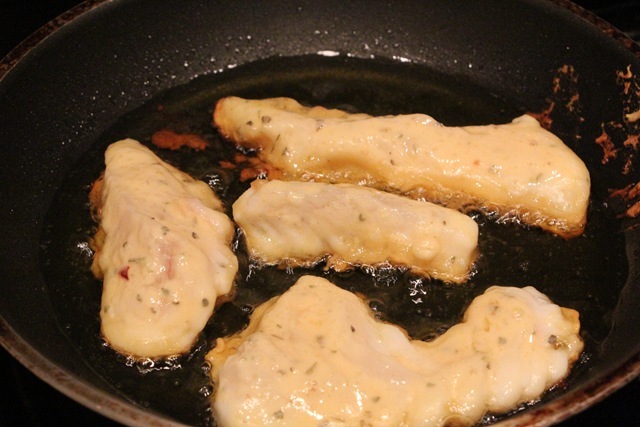 The basic step is fresh fish –> dipped in homemade mix batter -> cook. 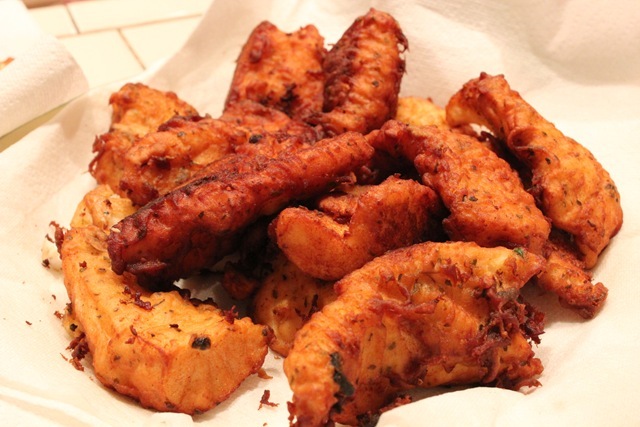 The fiance cooks his fish in the deep fryer. I cook mine with coconut oil/olive oil on a small pan. Fish that doesn’t taste or smell fishy. Light crunch on the outside, juicy and soft in the inside. 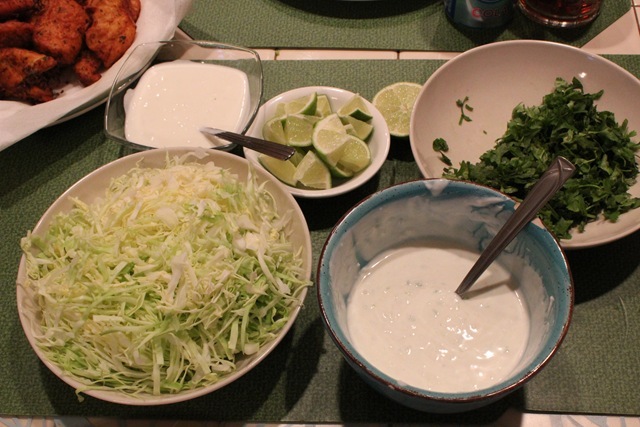 Standard fresh toppings: Finely shredded cabbage, lime, cilantro and white sauce. Salsa optional. I use whole wheat tortillas for my tacos. I put all the toppings on mine, with extra cilantro and limes. 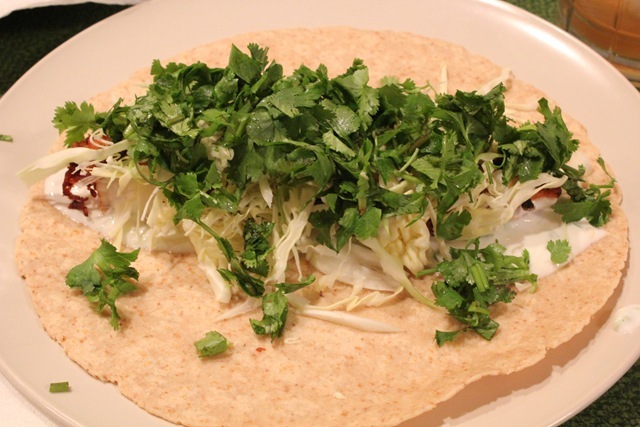 I made mine too bulky (lots of cabbage = crunch), so I was only able to roll it instead of making a burrito wrap. There is no substitution for fresh ingredients, it taste a thousand times better. Rubio’s will never taste the same again. 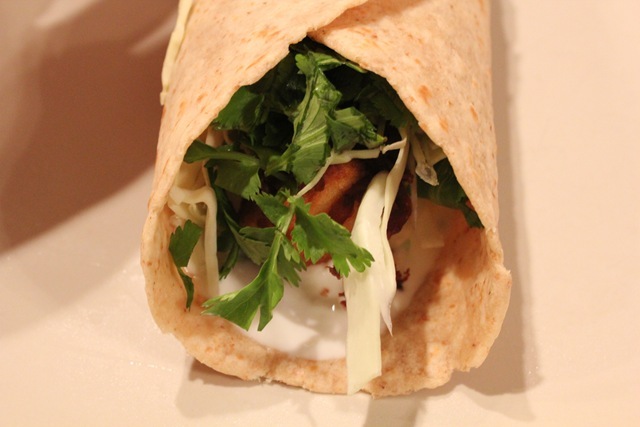 The fiance made the delicious white sauce used in the taco, while I stayed productive and played sous chef photographer. 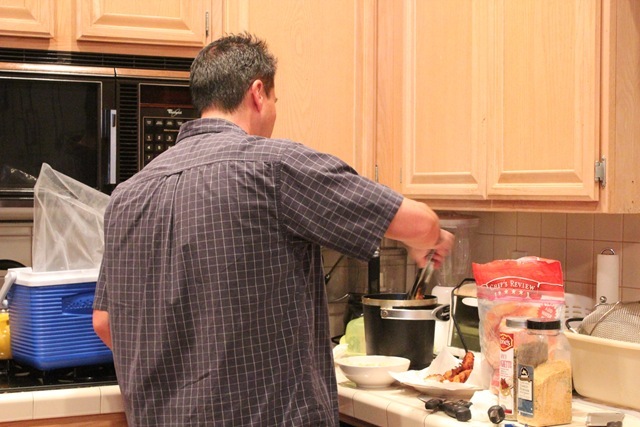 The couple that cooks together….stays together, or at least eats together. 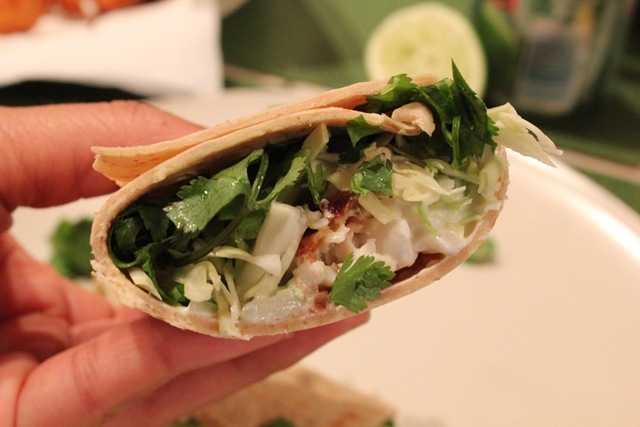 Do you eat fish taco/burritos? Where is the best place you’ve eaten it? I love seafood and I especially love fish. I don’t cook it often but it’s my first choice when eating out. 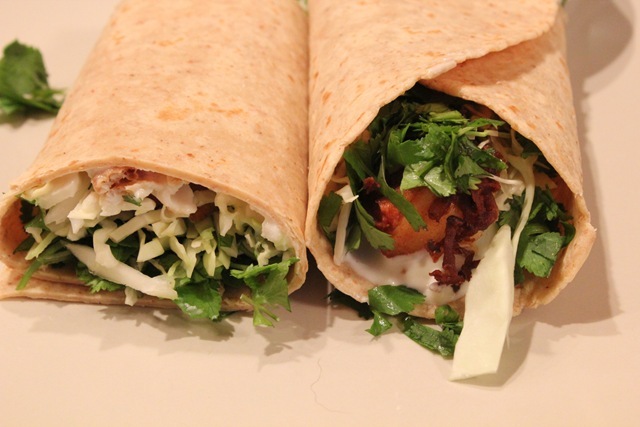 Oh my those burritos look so delicious and everything else for that matter. Yummo I miss fish looking at all your pictures. LOL can you believe that? Hey the best place that has good fish tacos you have to check them out. It’s “Senior Fish” They have one not to far from the Central Market – Down Town LA, Eagle Rock, Alhambra and South Pasadena. Although I live in Alhambra I think the best one is South Pasadena for me all there food is delicious and they give generous servings. They are located on Mission Road. Let me know if you like them when you do and love the pics. Oh man, I’m now going to go to the grocery store to get what I need to make fish tacos. Thanks for the inspiration! Those fish tacos look so delicious! YUM! I love fish tacos as well. There is a good joint here in Boston (Dorado tacos) that serve awesome, cheap fish tacos! I hate running outside in the cold, but sometimes I just gotta do it. Layers rule. I kid..sort of. I know people rave about them, but not for me. i love love love fish tacos. yours look so fresh! 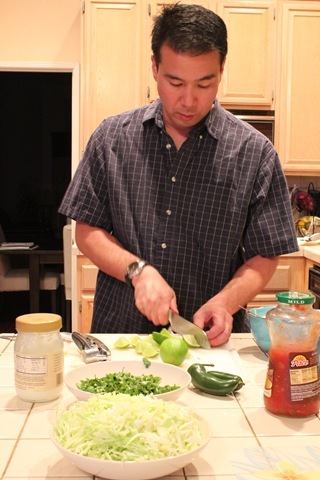 I”ve actually only eaten fish tacos once in my life when I went to the west coast in California! I forget where I went (I think it was a popular but freshly made chain) sooo delicious!! 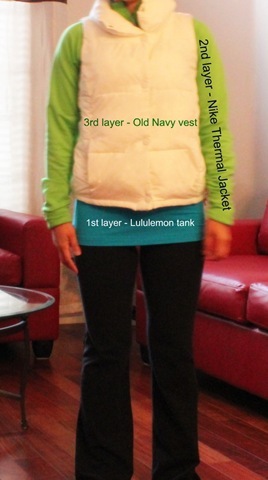 Your pic of your layers labeled cracked me up!!! I have never had a fish taco in my life!!! Yours looks so amazing though!! And you are so beautiful!! Need to try this ASAP – so easy!